The Academy Awards also referred to casually as the Oscars, is a formal award ceremony to honor the best achievements of filmmaking in Hollywood. The entire process of the awards starting from the nominations, voting, and conducting the award ceremony is supervised by the Academy of Motion Pictures and Arts Sciences. The academy has more than 6000 members with expertise in filmmaking. The history of the Academy Awards is provided in the current article. The Academy Awards has a nomination for 24 different categories. For the year 2018 onwards, a new category of ‘outstanding achievement in popular film’ will be added to the nominations. For any movie to be eligible for the awards, it must have been publicly exhibited at commercial theatres in Los Angeles for at least one week during the calendar year. The foreign-language films which have not been shown in the United States are an exception to this rule. The nominations for different categories and voting is done exclusively by the academy members. The academy members consist of experts from the field of filmmaking from different branches, and nominations and voting are done for each award category only by the respective branch of experts. The Academy of Motion Pictures and Arts Sciences was constituted in 1927. The academy did not pursue the awards immediately as it had more pressing issues at hand. It was busy with labor problems and in improving the tarnished image of the film industry. The first Academy Awards were presented on May 16th, 1929, in the Hollywood Roosevelt Hotel. A central board of judges consisting of one member from each branch was the jury for the first Academy Awards. Originally the names of the award winners were given to the press on the condition that they would be kept confidential till the award ceremony was over and the winners were announced. However, the Los Angeles Times printed the names of the winners in an early evening edition in the year 1939, which led to complete loss of interest for that year’s academy awards. After this farce, the name of the winners has been a closely guarded secret and not known to anyone till the announcement at the awards ceremony. The Academy Awards ceremony were first televised in 1953 and since 1969, they are televised globally. It is viewed by millions across the globe. The design of the Oscar statuette- a knight standing on a film and holding a sword-was conceptualized by MGM studio’s art director Cedric Gibbons. In the initial years, the statue was made of bronze with 24-carat gold plating. During the World War II, it was made from plaster due to the metal shortage. Currently, it is made of britannium with gold plating. The statue is 13.5 inches tall and weighs 3.8 Kgs. 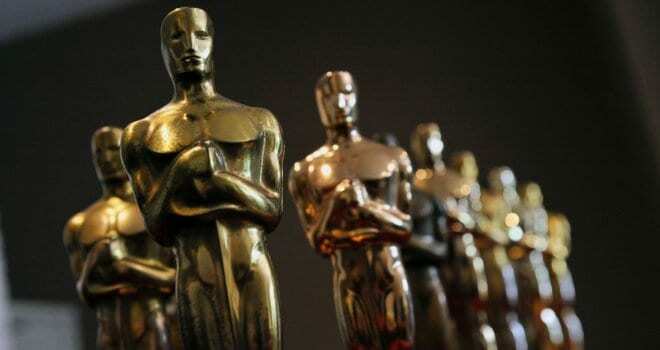 The Academy Awards are recognized as the most definitive awards in the world honoring excellence in filmmaking. It is reflection of the high-quality and lofty standards of moviemaking in Hollywood.